SWG fans will not back down when it comes to their favorite game. It seems the big fat “no” they received in response to their petitions was not enough and they are now filing a class-action lawsuit against Sony Online Entertainment in an effort to keep the Star Wars themed MMORPG live and running. Lucas Arts and SOE announced earlier this month that the game would be shutting down on December 15th of this year. They blamed the closure on declining subscriptions and competition MMORPGs, one of which being the highly anticipated Star Wars: The Old Republic. But many SWG fans are saying “Screw TOR!” and they demand to keep their game. Just yesterday we wrote about how Sony shot down the petitions and reportedly, they also locked forum threads and banned players related to the petitions, citing that "promoting an online petition causes disruption within the community and does not provide gameplay feedback that our development team can use." 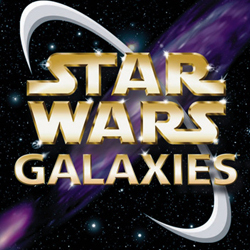 VentureBeat has now reported that several SWG players have launched a class-action lawsuit against SOE in order to keep the game alive. Of course, there is no legal substance to the claim since all players must sign the end-user agreement to play the online game which is subject to change at any time, including a shut down. But this doesn’t stop many players from questioning Sony’s tactics in this case. Are they potentially causing harm to their own company with their aggressive stance against the petitioners? Or are fans overreacting to the whole situation?